I’m reading a lot of interesting things both for work and play and wanted to share with you all. I have several go-to food and nutrition blogs that I read on the daily. Below are my favorites for good recipes, healthy living and nutrition facts. You’ll see many of the recipes on here coming from their sites. 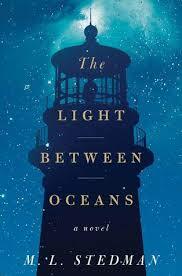 Currently, I am reading The Light Between Oceans, which has been recommended by many. I am not too far in but can already tell it’s going to be good! My past two reads were The Fault in Our Stars and Where We Belong. I highly recommend both of these books. Great story line and fast reads. You won’t be able to put them down! If you are reading anything interesting, please share! Have a great weekend!